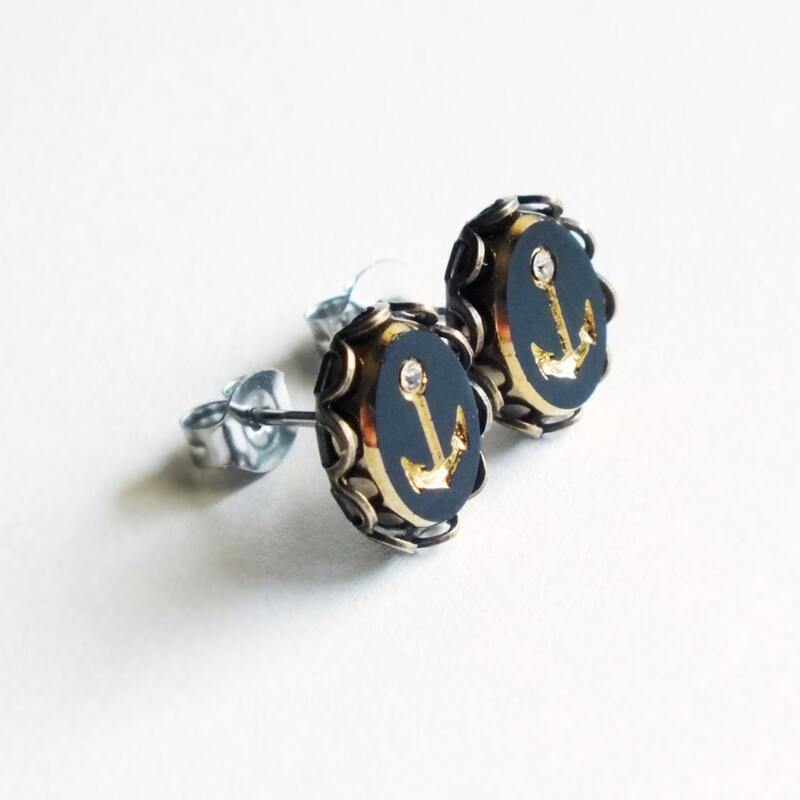 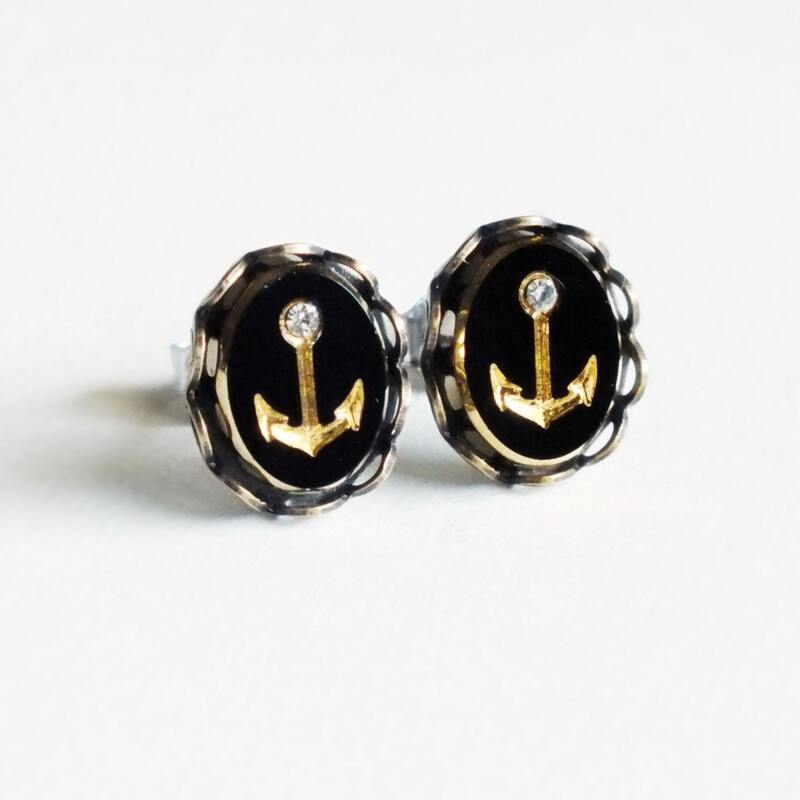 Handmade anchor stud earrings with vintage black and gold nautical glass cabochons and hypoallergenic studs. 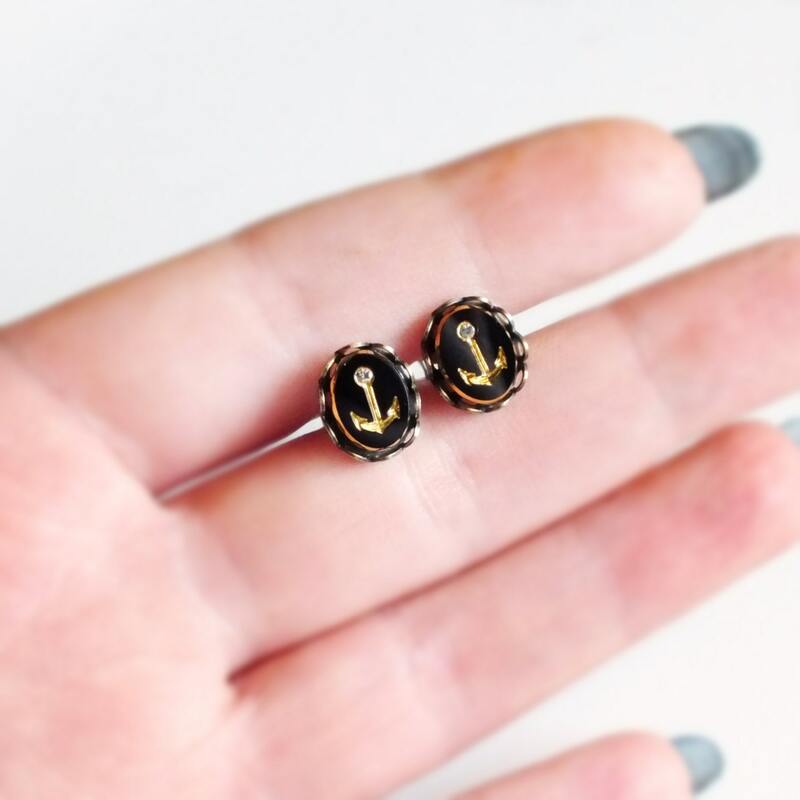 Hypoallergenic Surgical Stainless Steel posts with backs. 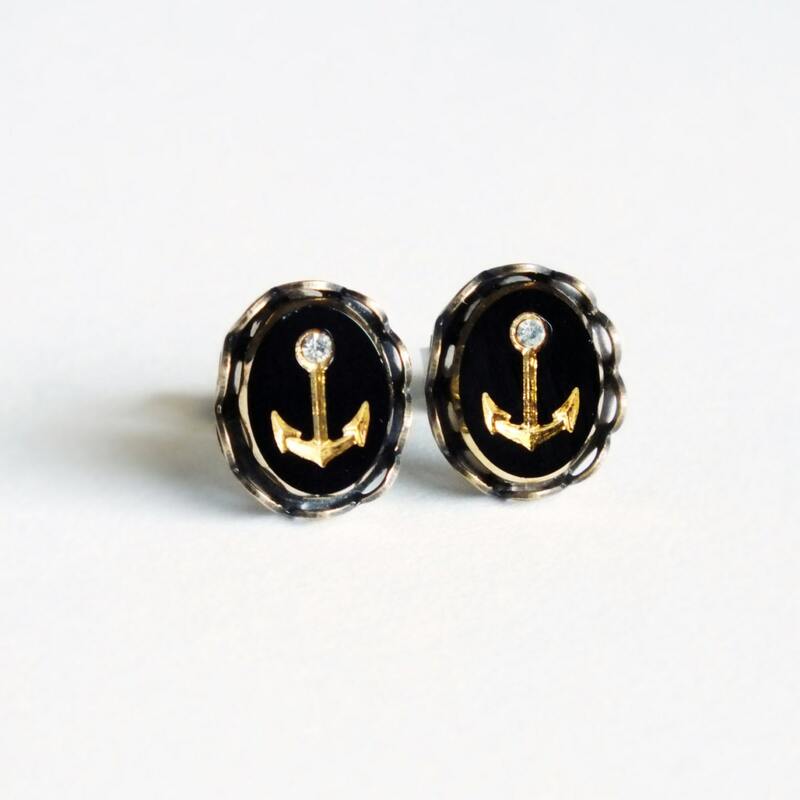 Made with beautiful black and gold vintage glass anchor cabochons with tiny rhinestones. 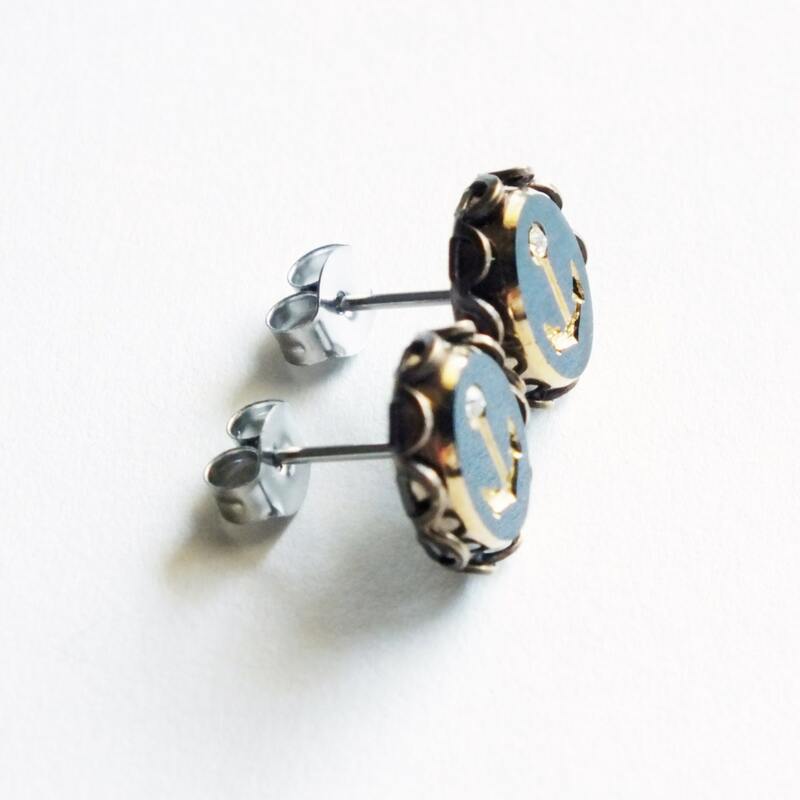 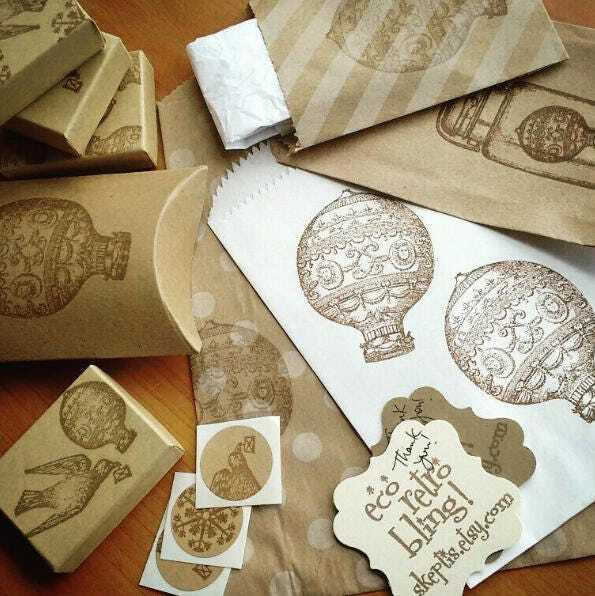 Set in lacy antiqued brass settings secured to hypoallergenic surgical stainless steel posts.